Alternative baseball lineup card. More ways to make a batting order. The baseball lineup card is unique to all baseball teams. Each baseball coach and baseball coaching staff put their heads together and tries to put the best baseball system in place to try to produce runs and put on baseball signs. The best baseball batting lineup has hitting depth with players that can contribute from the lead off spot through the nine hole. League baseball teams that have a deep batting lineup put themselves in position to score runs every inning. The need for speed. Good running speed is a weapon for any spot in the batting order. No matter what baseball lineup card batting place in the order we will gladly interject fast runners anywhere. Historically in baseball score sheets speedy players bat in the top of the order. The theory is that if fast players reach base they can steal, hit and run, and quickly advance around the bases when the big hitters come up behind them. I think plus speed is beneficial anywhere in the baseball line up. Many baseball players may not be the fastest runners but they tend to work hard, stay alert and always look for the extra base & and keep any eye out for baseball signs. Slower runners can still contribute without clogging the bases if baserunners put some effort in their base running. Power hitting is another feature that adds to a good league lineup. Hitting for power helps all baseball teams score runs in a hurry. One swing of the bat can produce instant runs, especially if a few runners are on base at the time. The top major baseball teams will often have a few pretty good power hitters. Plus, the baseball fan will pay some good money to come and watch power hitters. Three of the five tools that professional baseball scouts look at are running speed, hitting for power and lastly pure hitting ability. Not every hitter is going to be a fast runner too. Not every baseball player will be able to hit for power. The guys that can really hit the ball with authority and consistently hit the ball solid on the sweet spot of the barrel are very valuable. Batters who battle the tougher pitchers, grind out at bats, and put the ball in play with two strikes will help base ball teams have a deep baseball lineup card from one through nine spot. Look at the good college baseball teams starting lineups. Check out the major league baseball teams scorecard lineup sheets. The All-Star game lineup. See how many really good lefthanded hitters these teams have. Why? Because competitive teams need balanced baseball lineup cards with lefties and righties. This balanced batting order keeps the opposing pitchers from dominating the offensive lineup card. If you want to get ‘seen’ by college baseball and professional baseball scouts then start your career batting and/or throwing lefthanded. Every time a player who throws left or bats left the pro scouts stop everything and get their radar guns and stop watches out for a closer look. 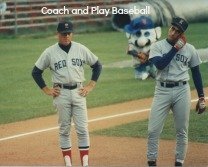 Here is an fun way to make line up cards for baseball. Number small pieces of paper from one to nine. Fold up the numbered papers and put them inside a baseball hat. Have each of the starting lineup players reach in without peeking and pick a piece of paper. Whatever number the player chooses is the spot in the order that they will bat in the lineup card. This is an excellent way for youth baseball coaches to create a baseball lineup card. This baseball system helps take some of the seriousness of baseball out of the air. You may not want to do this lineup card batting order every game but it is great to mix up the atmosphere especially if a team is in a team batting slump. This batting order kind of breaks up the tension. Hey, if the line up works you might not want to change it. If you know how to keep score on a baseball scorecard you know that the baseball positions are numbered from one through nine. One is the pitcher. The catcher is #2. Firstbase is number 3. Secondbase is 4. Thirdbase is #5 with the shortstop #6. Leftfield is 7, centerfield is 8 and rightfield is number 9. I recently filled in for a head baseball coach for a weekend travel tournament for the American Legion Post team. I had to whip up a lineup card together for each game but I did not know the players much at all much less who could do what. So, the first game we batted from one through nine. 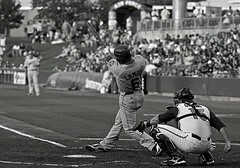 The catcher batted lead off. The pitcher batted second and so on through the rightfielder. The next game we just reversed the order with the rightfielder batting in the lead off spot with the centerfielder next followed by the left fielder and so on with the catcher batting in the nine hole. You can also do odds and evens. The odd numbers hit in the top of the order with even numbers in the last four positions. Reverse the order for the next game. Use the baseball players’ first or last names and put them in alphabetical order on the baseball line up. From A-Z in alphabetical order. Yes, you will get some interesting combinations of your batting orders but this league line up will keep the ballclub loose and relaxed. Reverse the batting orderfrom Z-A next game. The players that start their names with an M might bat fourth since they are the middle of the ABC’s. Oh well. In a few situations in my baseball coaching I have used the old playground style ‘workups’ method to put the batting lineup together. The first player there at the ball field is first up. The second player is batting second and so on. If you get to the ballfield too late you will have to come off the bench because the first nine players are in the starting lineup. I used it as a high school baseball coach at times. This keeps the players from lollygagging around after school. This baseball line up card template may not work for every situation but it may come in handy somewhere along the way. I hope this baseball article has given you some ideas to alter your typical baseball line up cards. Sometimes we get so wrapped up in baseball statistics when we make a batting order lineup. Its good to change up the atmosphere from time to time and lighten the air. Thanks so much for looking over baseball lineup cards and visiting my site. Please explore some more, come back again and share the site with other baseball folks.